What Are the Benefits of Being Granted Bail? If you ever find yourself in jail, posting bail may be one of the first things you consider doing. After all, it’s the best way you can help yourself as your pending court date approaches. But what exactly are the benefits when you’re granted bail? You may even be wondering what is the purpose of bail, anyway? 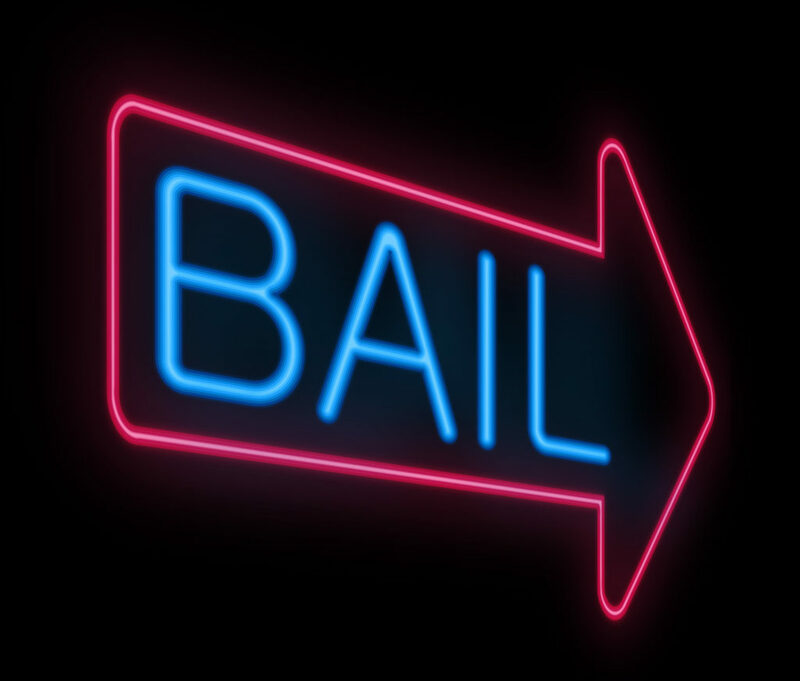 In this article, we’ll explain all the benefits of bail and why you should post it. We’ll also explain what you can do to better help yourself after getting arrested and released from jail. The purpose of bail is to release a defendant from jail in exchange for a bond. Shortly after the arrest, usually, your bail amount is pre-set after being arrested, depending on your charge a bail amount will be set. 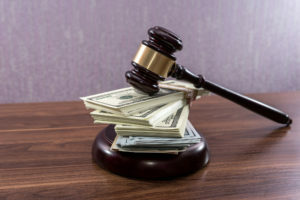 The bail amount will often depend on the severity of the crime. It will also depend on the criminal background of the defendant. Posting bail doesn’t mean that defendants can’t show up to their scheduled court dates. When you post bail, you agree to show up to all scheduled court dates and legal proceedings. There may be other conditions you must abide by set by the prosecutor, judge, or your bail bonds agent. If it wasn’t for bail, defendants would have to wait in jail until their trials began. Freedom is the most obvious benefit of bail, but we’ll delve more into these benefits next. Once you post bail, you can move on with your life as normal as possible. You can return to work, continue to live in your home and see your friends and family. You can also continue to focus on the things that you enjoy. However, depending on the conditions of your bail, you may not be able to do certain things. For starters, you may not be able to travel outside the county or state. You may even have to undergo scheduled or random drug screenings. These conditions do not apply to every defendant who posts bail. For the most part, they apply to those accused of serious crimes. They are more common among cases involving defendants with a history of crime or drug abuse. They’re also common in cases where defendants have a history of fleeing jurisdiction. Breaking the conditions of your bail could land you back in jail without the ability to post bail again. There’s not much you can do from the confines of jail. For one thing, it’ll be hard to find and work with a lawyer from jail. You’ll also have a harder time communicating with your witnesses and gathering evidence. If released on bail, you can work more closely with your lawyer on making the best defense. And you can do this all at your own convenience. Not all jobs are very forgiving when their employees miss work due to arrest. Even missing a couple days of work can cause financial strain. But one of the great benefits of bail is that you can continue to work, keep your job, and get back to making money. Bail is not cheap. And neither are lawyer fees and other penalties you may be subject to. Getting arrested doesn’t mean you’re going to go broke. But staying in jail could put you in financial trouble if you’re not able to pay your bills and mounting legal fees. Luckily, a bail bonds agent can post bail within a matter of hours. Which means you may only miss a little work – or none at all! The time someone spends sitting in jail puts significant strain on their family. Because they’re not around, the rest of the family has to pick up the slack. This is especially the case for larger families or those with young children. But if you’re released, you can resume work and continue to provide for yourself and your dependents. You can also take care of your other responsibilities, like your house or a sick relative. If granted bail, you can minimize your stress and better provide for those around you. Jails are not the safest places to be. After all, they’re filled with gang members, violent individuals, and other criminals. The faster you’re out of jail, the less interaction you’ll have with the other inmates. Once arrested, make your focus all about posting bail as soon as possible. The longer you sit in jail, the more noticeable your absence will be. Bail bonds can help you get out of jail faster so that no one notices that you were away. Getting arrested and preparing for court is already stressful enough. Save yourself the embarrassment of having to explain your legal situation to others. With bail bonds, you may not need anybody else’s help. Of course, you may have close relatives who want to help. They can also contact a bail bond agency without nobody else knowing. Need Help Getting Granted Bail? Were you or someone you know recently arrested in Van Nuys, California? If so, you may be wondering if you can secure bail bonds for yourself or your loved one. Once you’re granted bail, you can return to some level of normalcy. This begins by enlisting the help of a trusted and reputable bail agent. For more information, contact Bail Man Bail Bonds today at 1-866-945-2245 or 1-866-945 Bail. A bounty hunter is an individual who captures fugitives for a financial reward. Depending on which state you live in, you can become a bounty hunter in little to no time. When one thinks of a bounty hunter many think of the show “Dog the Bounty hunter”, but the profession has much more to offer than the glimpse the show may offer you. Do you ever have the feeling of changing the world and making it a better place? Bounty hunting is one profession that truly gives back to the community and the greater good. Bounty hunters work tirelessly to get criminals and fugitives off the streets that have broken the law, thus making it a safer environment for all. You can legitimately make a “bounty” by being a bounty hunter. The average salary for a seasoned bounty hunter can be in the $80,000 range with the top performers nearing the 6 figure range. If you are green behind the ears and just starting out, you can expect an average starting salary of $50,000 to $60,000. One of the highest starting salaries for non-degree workers! Are you tired of the mundane and monotonous routine your life has become? Well, a permanent and fulfilling remedy is one step away with a career as a bounty hunter. The life of a bounty hunter is a wild ride with not knowing what will come next. This is no 9 to 5 cubicle job. The life of a bounty hunter is for the individual desiring the thrill of excitement around every turn. Have you ever wanted to become your own boss? Look no further than becoming your own boss as a bounty hunter. Most bounty hunters are contract workers and set their own hours and schedule. The life of a bounty hunter can have long hours, but worth the payoff in the end. Have you thought being a bounty hunter was unattainable and a pipe dream? Well, we are here to tell you your dreams are closer than you imagine! Each state has different qualifications for becoming a bounty hunter, but some qualifications can be earned in as little as a month. You can be on your way to becoming a professional bounty hunter in no time! For more information and resources about the requirements needed to become a bounty hunter, please visit https://www.bountyhuntereducation.org/. Your one stop for all your bounty hunter education, training, school information, and more.